The second generation of the SB Series. Heel shafted with smaller mallet version. Back flange water fall effect makes the look comfortable to the eye. Alignment benefits of RifleScope Technology (RST). The SB2w is offset version. 100% milled 6061 aluminum. 5 percent toe hag. 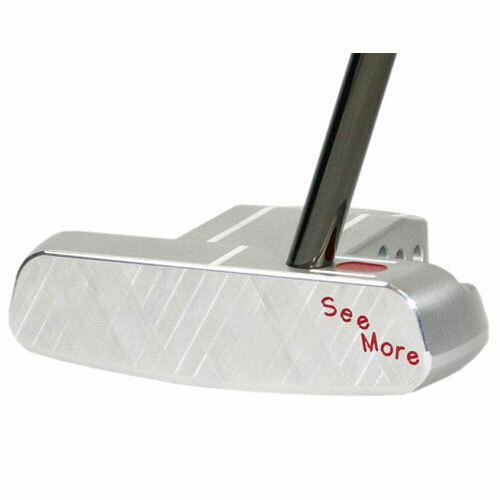 335g head weight. 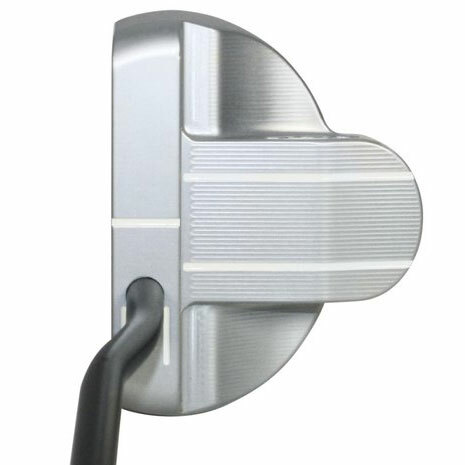 Weights will be installed in putter head bringing head weight to 356g. Each weight cartridge weighs 7 grams. Allen wrench can remove weights. Platinum finish. 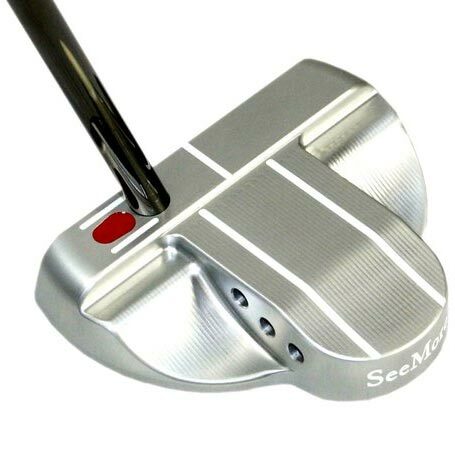 Exclusive serialized premium large mallet putter designs featuring SeeMore's patented RifleScope Technology (RST) alignment system, for a true reference point for perfect alignment and set up on every putt. SB1 and SB2 are available in 100% precision milled aircraft grade aluminum for the ultimate in feel, balance, consistency, and confidence. 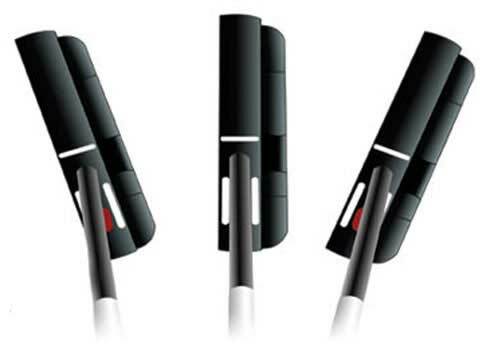 All SB putters feature stainless steel weight cartridges allowing the putter's weight to be adjusted approximately in the 335-360 gram range. 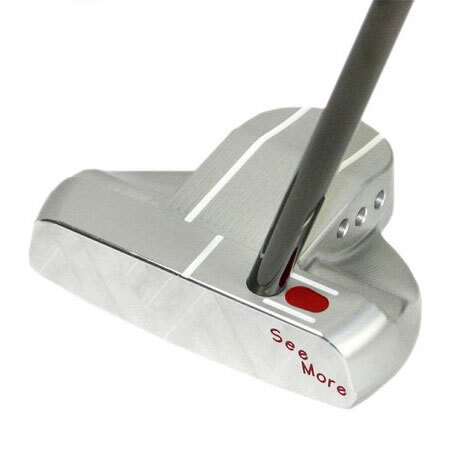 All SB putters feature an internal milled hosel for complete lie customization before or after purchase, and SeeMore's best in class platinum level customer service.